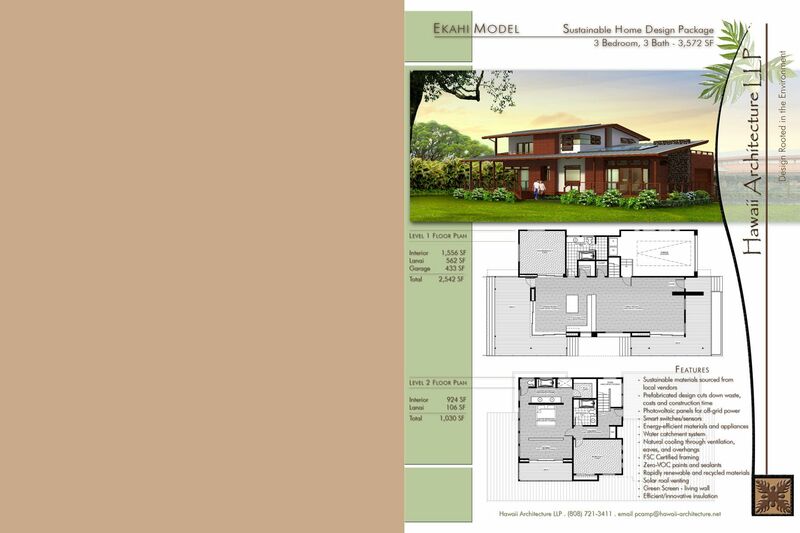 The first in a line of homes designed in the pursuit of local sustainable design, the Ekahi model home is a spacious 3 Bedroom / 3 Bathroom 3,572 s.f. 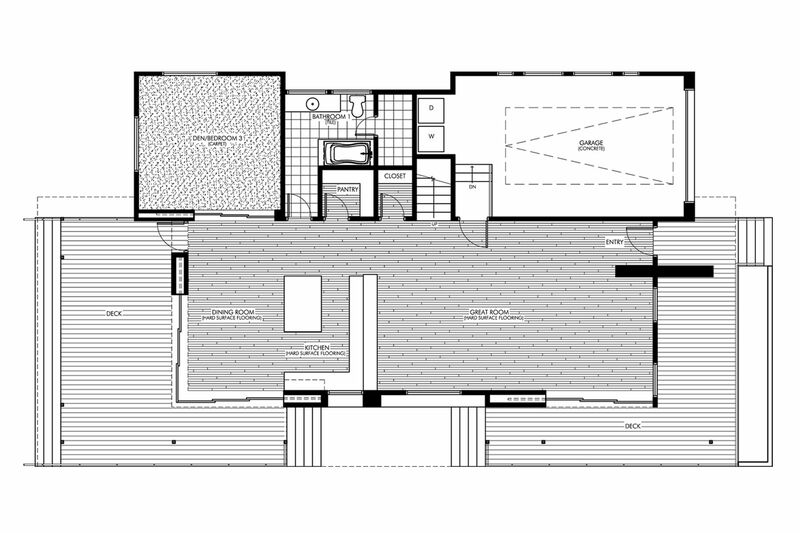 home designed for a standard R-5 infill lot. 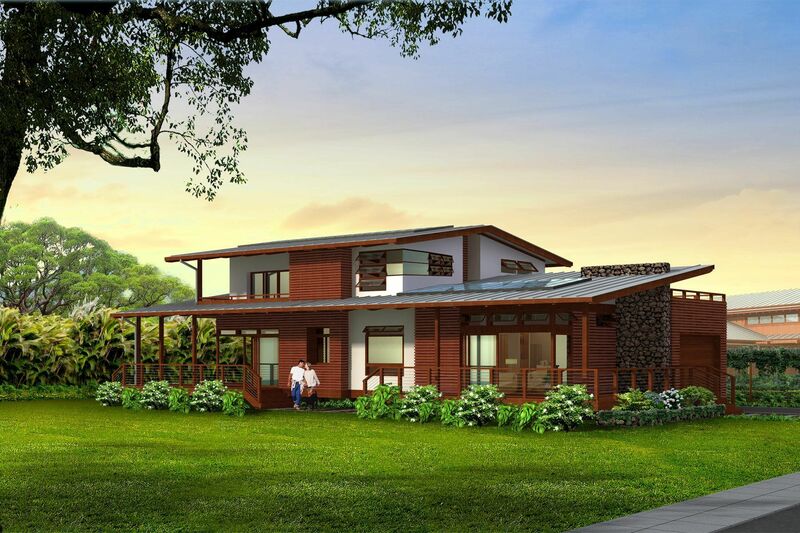 Ekahi offers ample exterior lanai and roof deck area with a wide open living area. 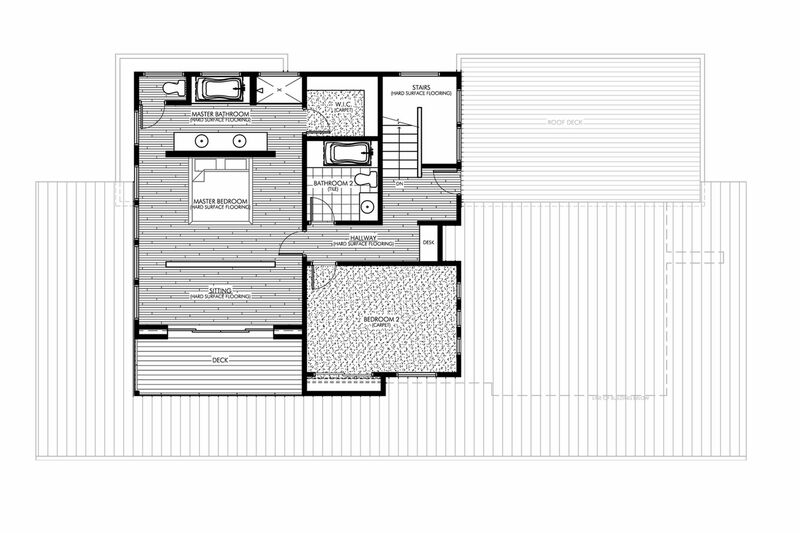 Each of our model homes are designed to a LEED Platinum level with locally sourced, environmentally conscious materials. The upfront planning involved ensures a viable outcome with a level of finish usually reserved for a custom product. Please refer to our “Sustainable Pursuits” Portfolio for more information on our Green Homes.